Six Senses Fiji has become something of a trailblazer when it comes to hospitality industry properties that are taking action on climate change. The property is 100 percent solar powered, (using Tesla battery packs) and is home to the largest micro-grid in Southeast Asia. 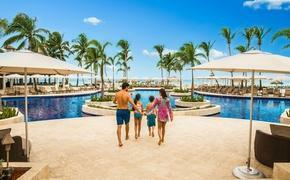 It also has an onsite desalination plant, which draws water from the ocean for irrigation and use in the resort's pools. These are merely a few of the reasons the Fiji resort recently received the top award for climate action during the 2018 Hotel Investment Conference Asia Pacific. The annual awards are designed to recognize hotels in the Asia Pacific region that are creating innovative new methods, strategies and technologies to face today’s sustainable development challenges, while also providing tangible examples of sustainable best practices that can be replicated and adapted across the region. The Six Senses brand has long been committed to preserving and protecting the environment throughout all of its properties and the efforts of Six Senses Fiji are in line with that commitment. 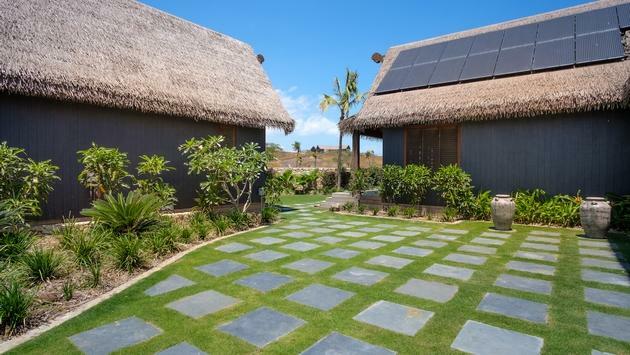 The 100 percent solar powered Fiji resort converts energy from the sun, stores it and uses it to power its villas, residences and facilities. A water bottling plant meanwhile draws water from a bore and purifies it to the highest drinking standards before being decanted into Six Senses glass bottles for distribution within the resort, an effort aimed at eliminating environmentally harmful single-use plastic bottles. There’s also an organic garden at Six Senses Fiji that provides fresh produce such as lettuce, spring onions, tomatoes, passion fruit, limes, cauliflowers and a range of herbs. The fruit and vegetables produced by the garden make their way to the resort’s three restaurants and are incorporated into meals. Even the Six Senses Spa Fiji has its own garden, the produce from which is used in the Alchemy Bar for mixing body scrubs, poultices and lip balms. 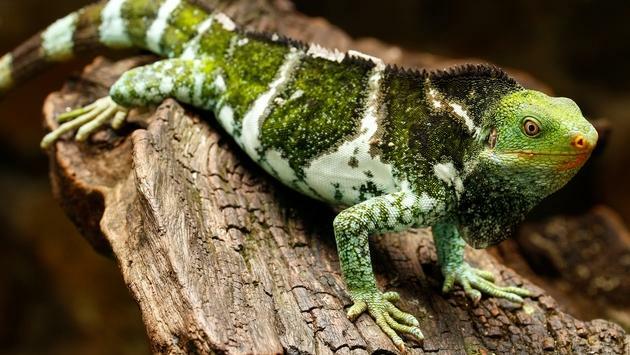 In addition to the thriving garden, Six Senses Fiji is home to 17 Fijian crested iguanas, a critically endangered species with less than 5,000 remaining in the world. A recent visit from iguana specialists provided positive insights regarding the species and, with the sighting of two babies, demonstrated that they are successfully reproducing in their protected habitat within the resort. “Giving back to the environment is just as important as reducing energy consumption and working with a zero-waste mindset, therefore Six Senses Fiji works diligently to reforest, both on land and underwater in the surrounding area,” the resort said in a statement. Examples of this include an ongoing marine conservation project that involves a team planting coral in the bay in front of the resort and regularly monitoring the results. Since the initiative began nearly four years ago, significant progress has been made, with a thriving coral garden developing, the resort said. Additional efforts at the resort include using stainless steel straws, low chemical pool infiltration and worm-based septic systems, all of which has resulted in the property and its guests drastically reducing their environmental footprint. To underscore its commitment to all of these efforts even further, Six Senses Fiji has its own sustainability officer whose job is overseeing the eco practices taking place daily.